KEY CONCEPT: Understanding of place value. DESCRIPTION FROM THE PUBLISHER: You had better not monkey around when it comes to place value. The monkeys in this book can tell you why! As they bake the biggest banana cupcake ever, they need to get the amounts in the recipe correct. There’s a big difference between 216 eggs and 621 eggs. Place value is the key to keeping the numbers straight. 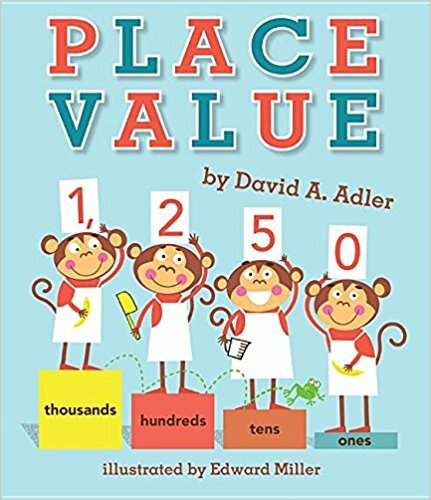 Using humorous art, easy-to-follow charts and clear explanations, this book presents the basic facts about place value while inserting some amusing monkey business.